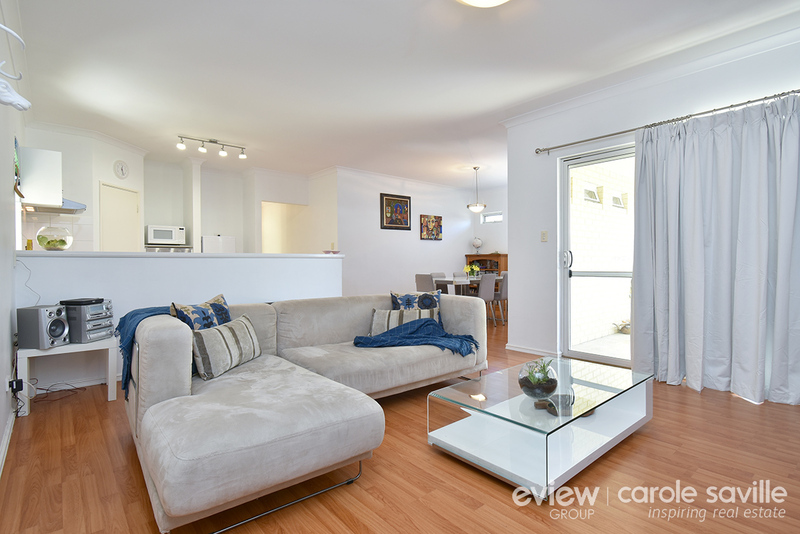 This light, bright and modern 3 bedroom 2 bathroom home in the Somerly Estate is ready for you to just move on in. 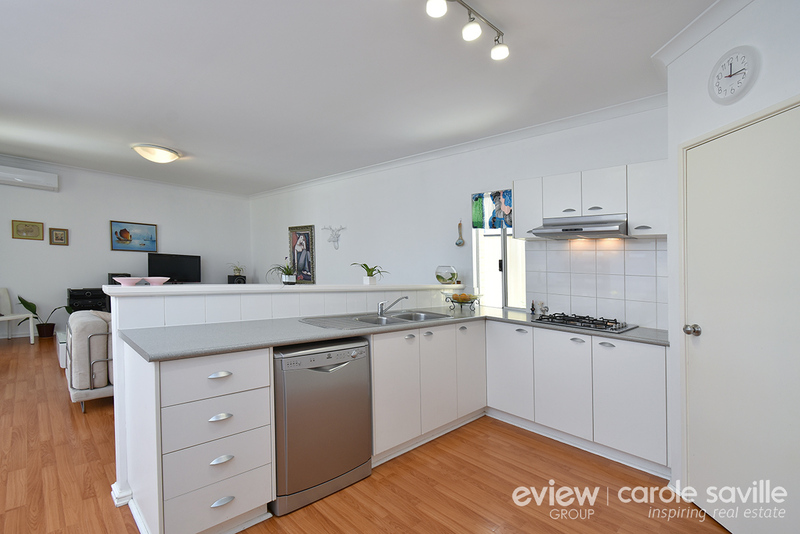 Neutral, fresh decor and situated in an elevated position opposite attractive parkland, close to the all-important transport, shops and schools. 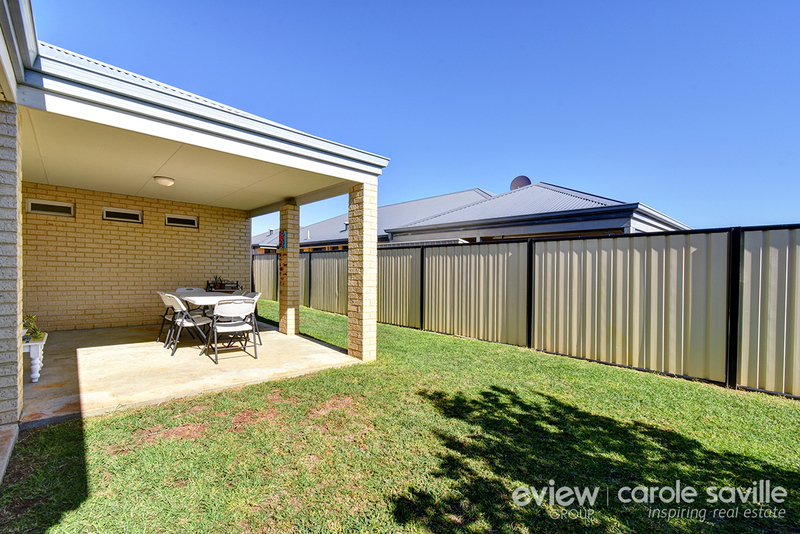 This well designed easy maintenance home is ideal for the lock and leave lifestyle, it's the perfect downsizer or a fabulous first home. 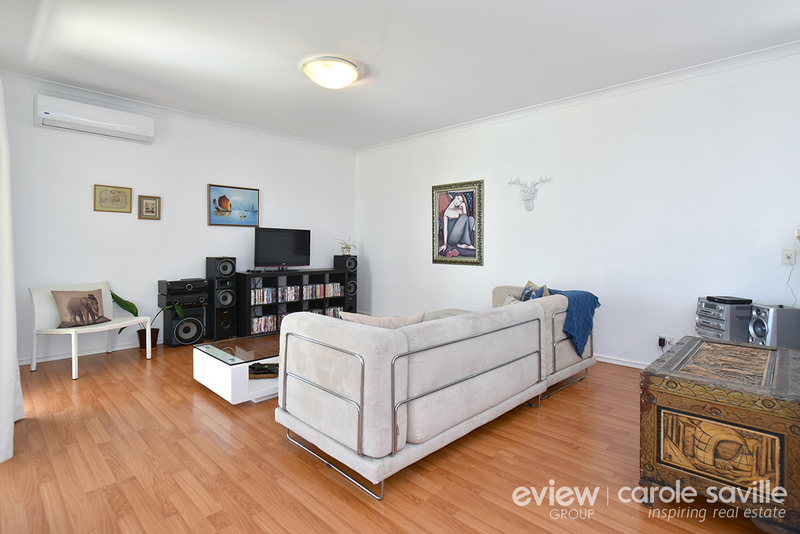 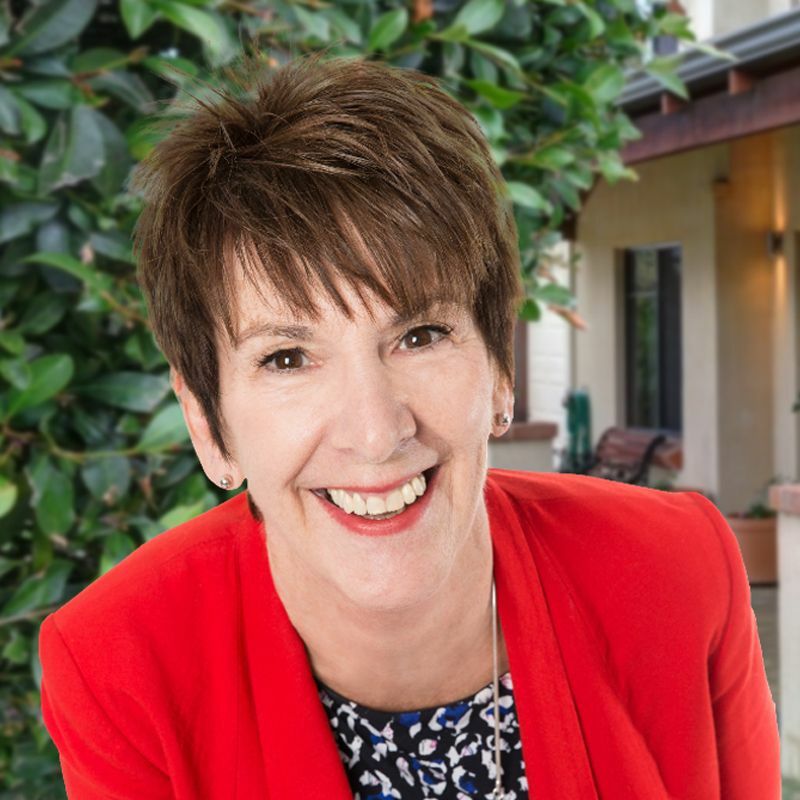 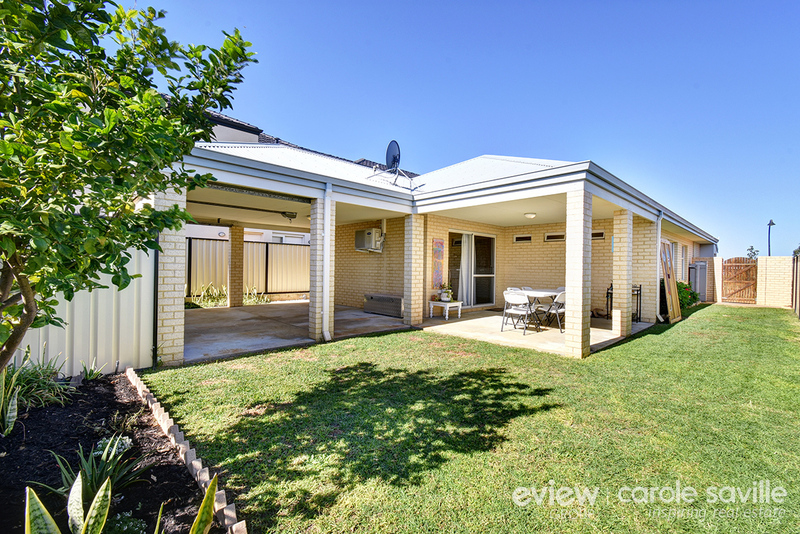 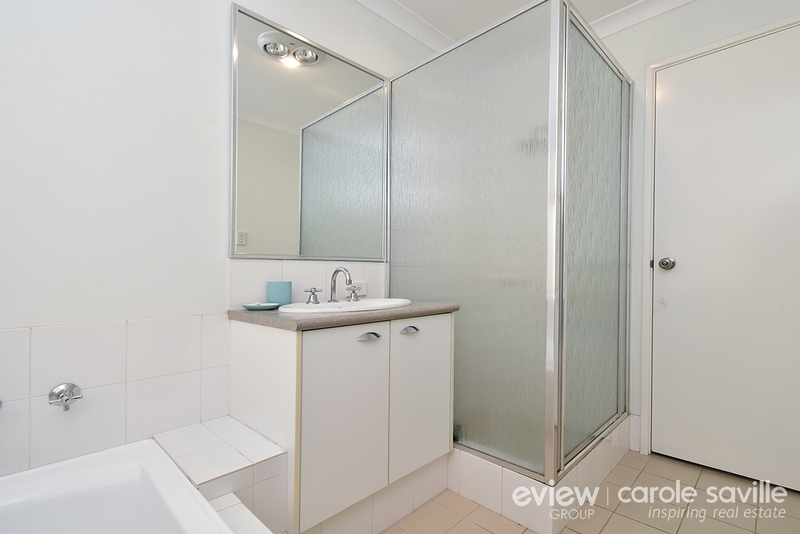 Call Carole now on 041 041 9241 to view! 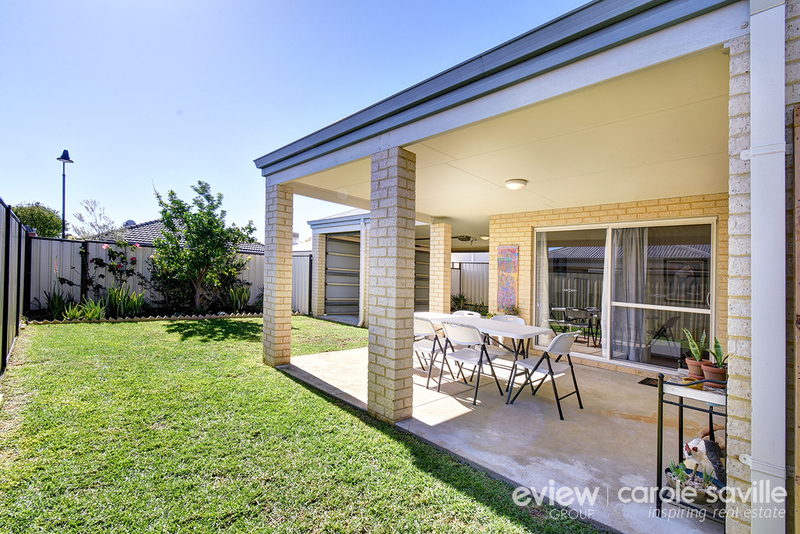 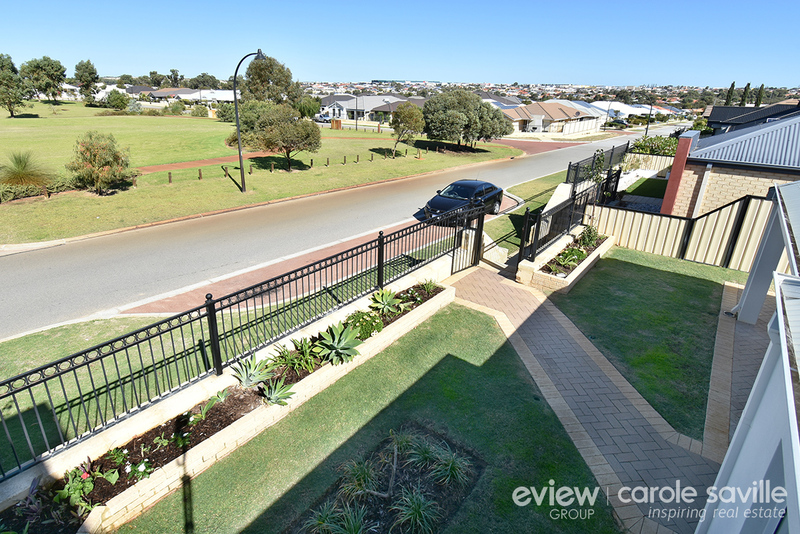 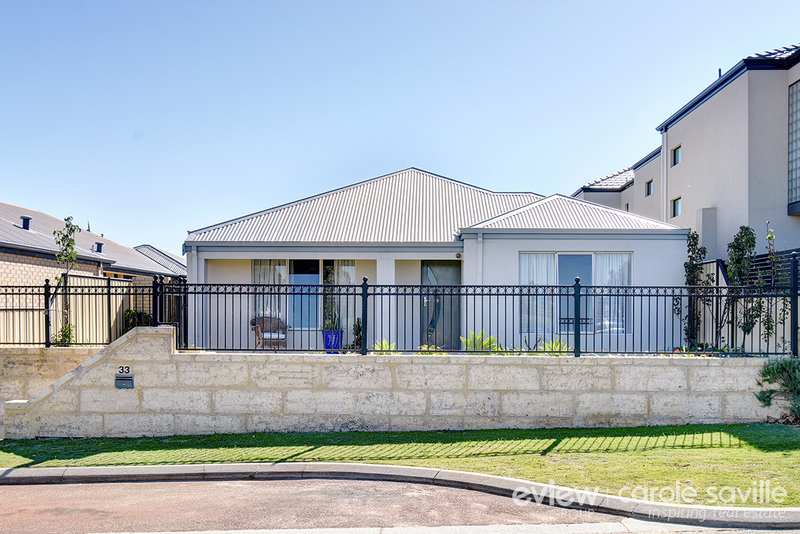 - As you drive up to this home, the attractive frontage puts a smile on your face. 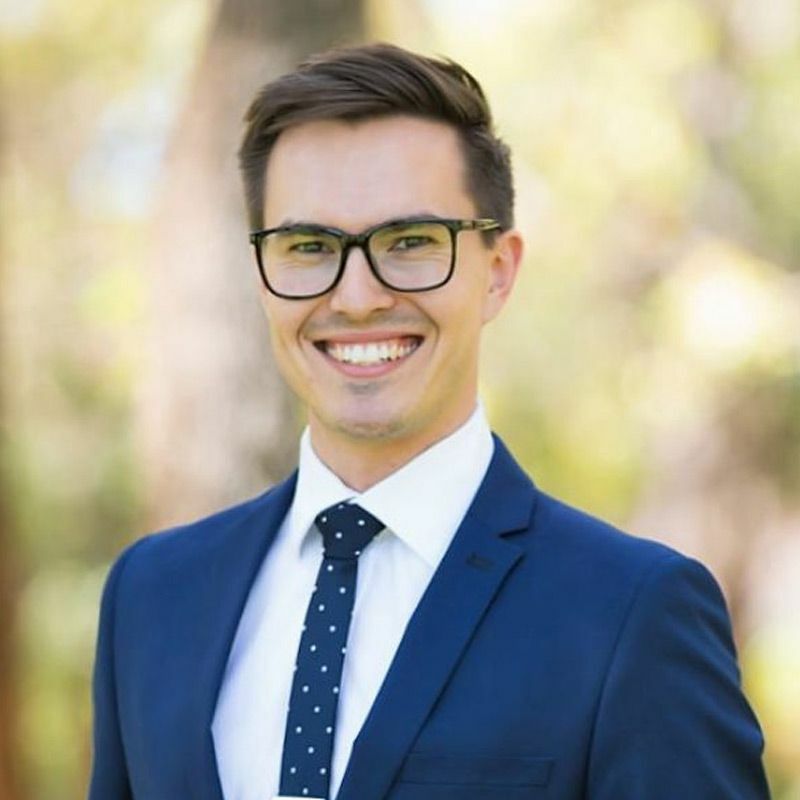 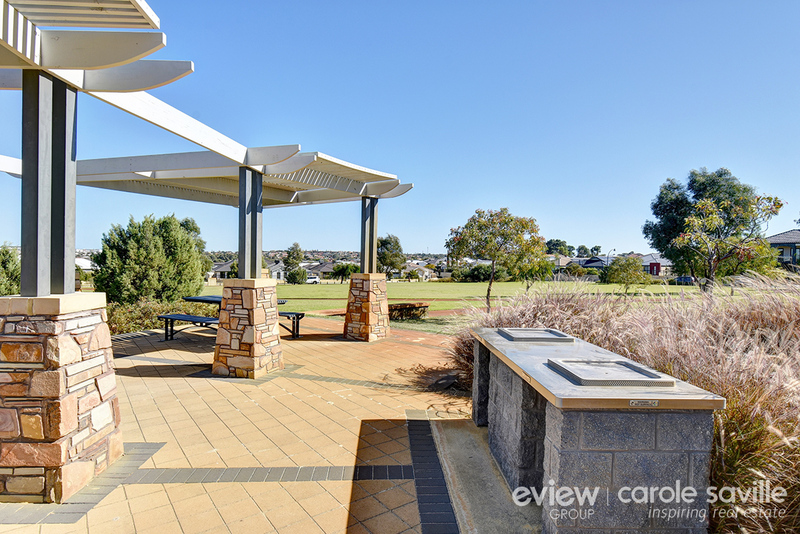 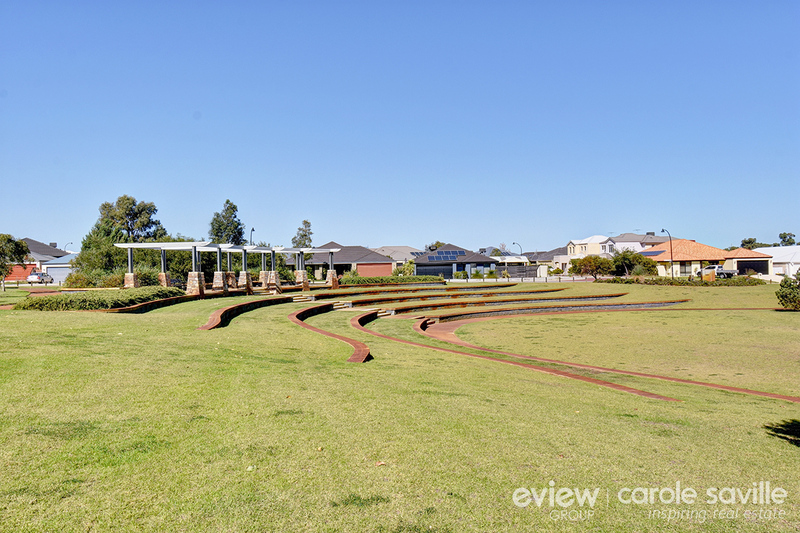 - Enjoy a glass of wine under the front verandah on a summer's evening or simply watch the kids playing in the park over the road. 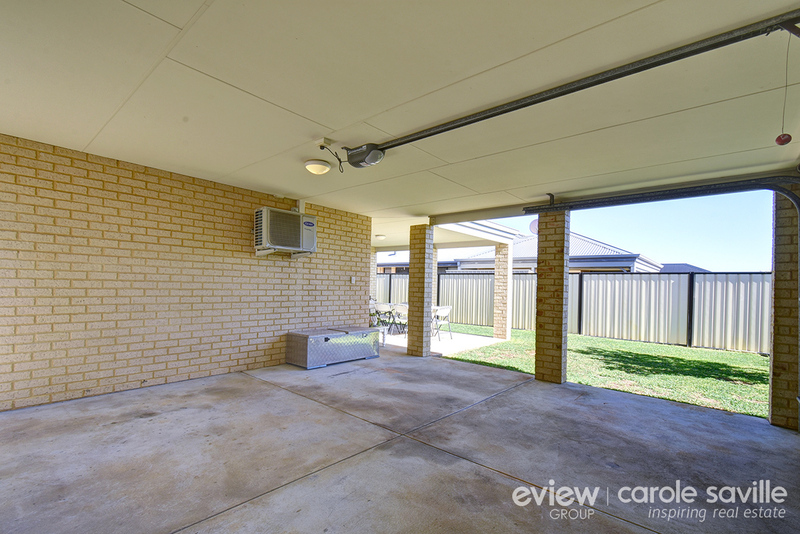 - This truly is lock and leave lifestyle, with secure, low maintenance courtyard and garden to the rear and small garden to the front. 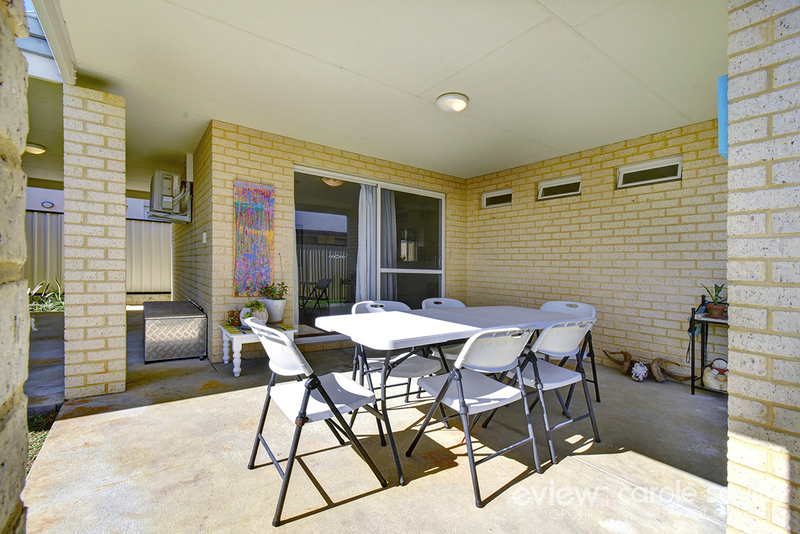 - Fresh, neutral decor throughout and easy care flooring in the living areas makes this one ready for you to move in. 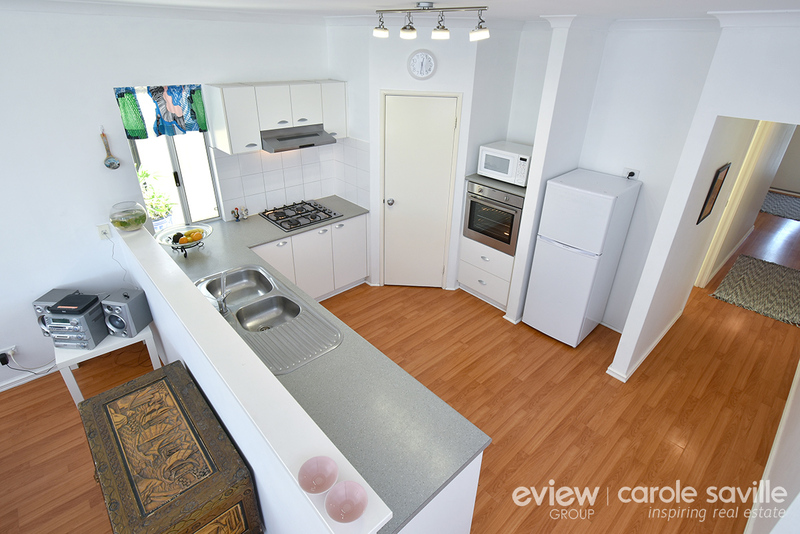 - Open plan kitchen is complete with stainless steel wall oven, gas hot plate and of course the necessary dishwasher! 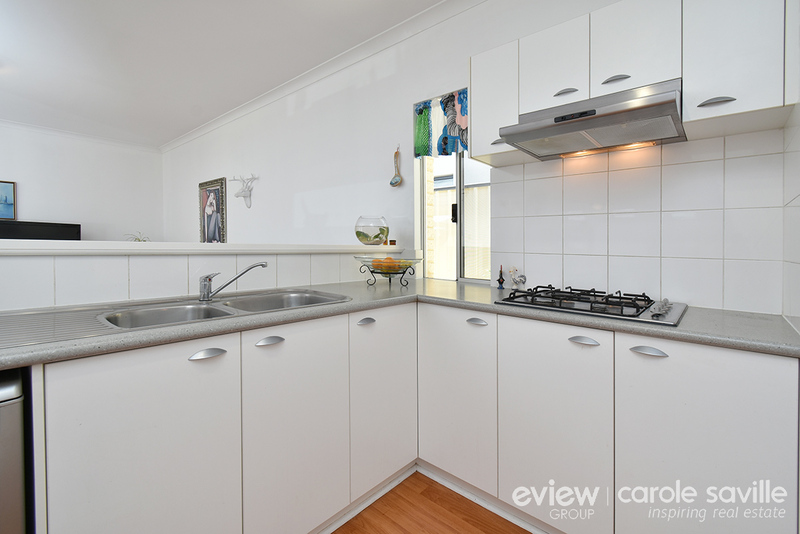 With corner pantry, ample bench and cupboard space, it's time to get creative with the cooking. 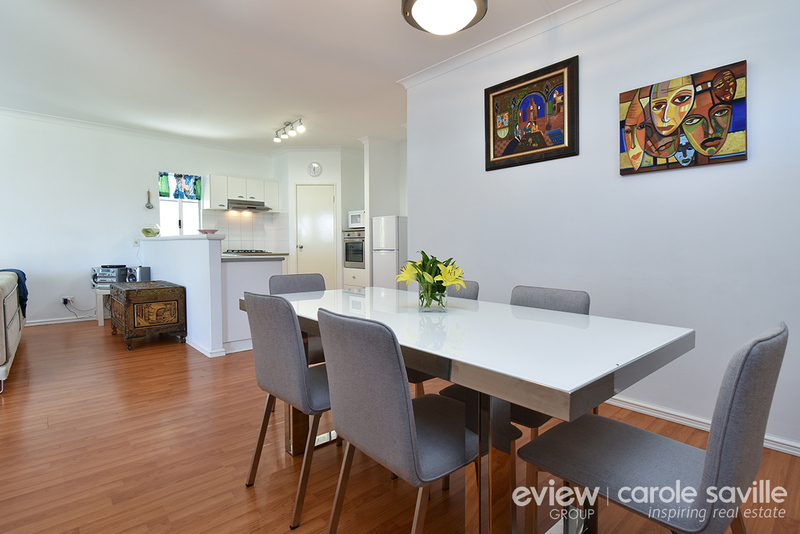 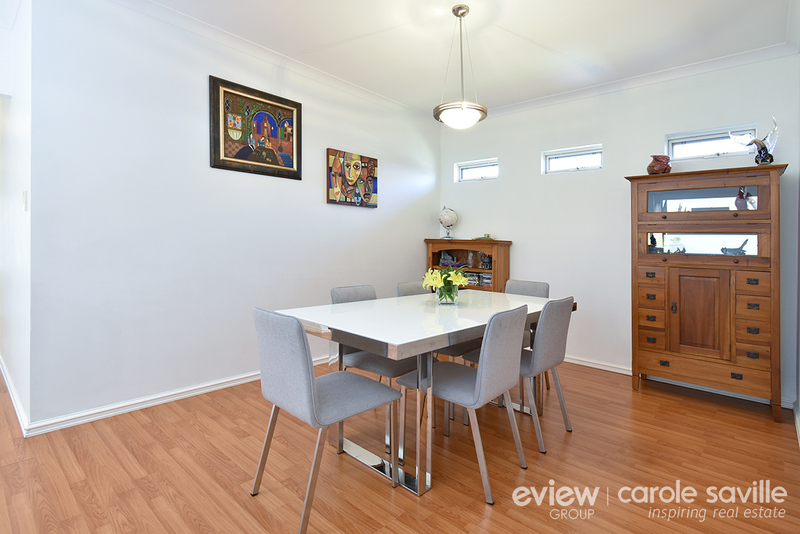 - This well-designed open plan, air conditioned living area with its high ceilings has an offset gorgeous dining space and adjoining the lounge area is a great space to relax. 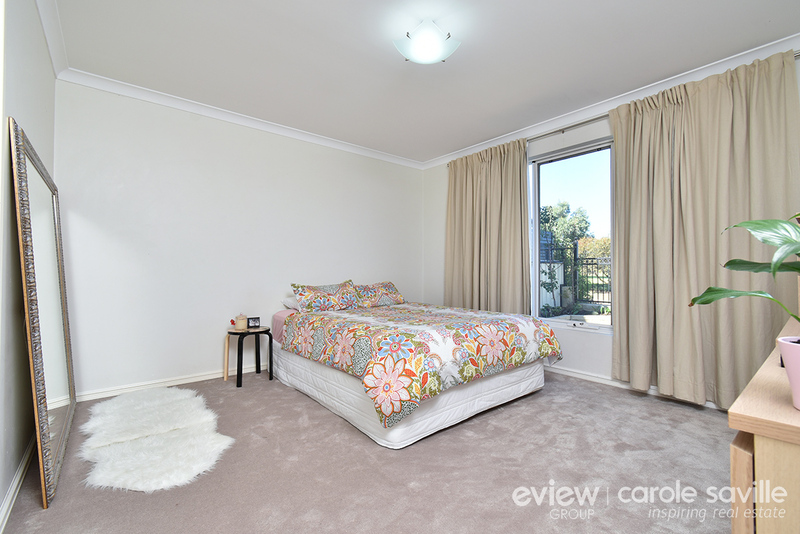 - Generous main bedroom to the front of the home has gorgeous views over the park and an adjoining ensuite and walk in robe. 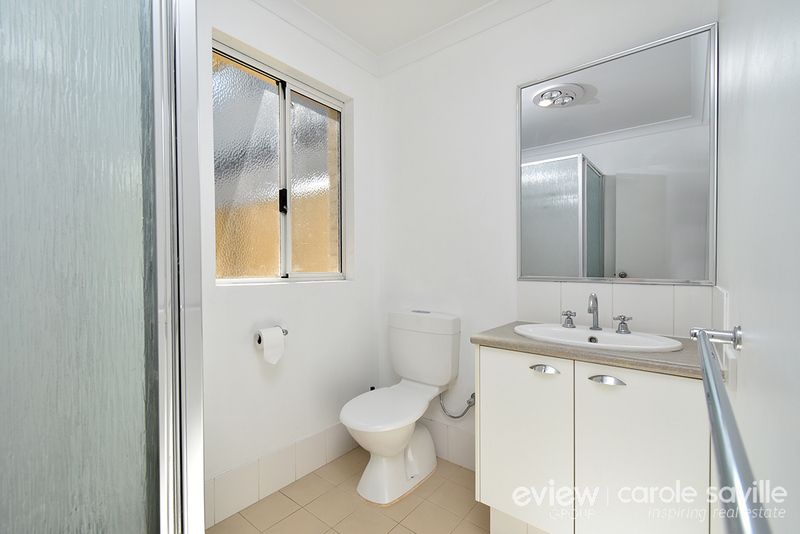 - Good sized minor bedrooms both with built in mirrored robes are serviced by a second bathroom with separate WC. 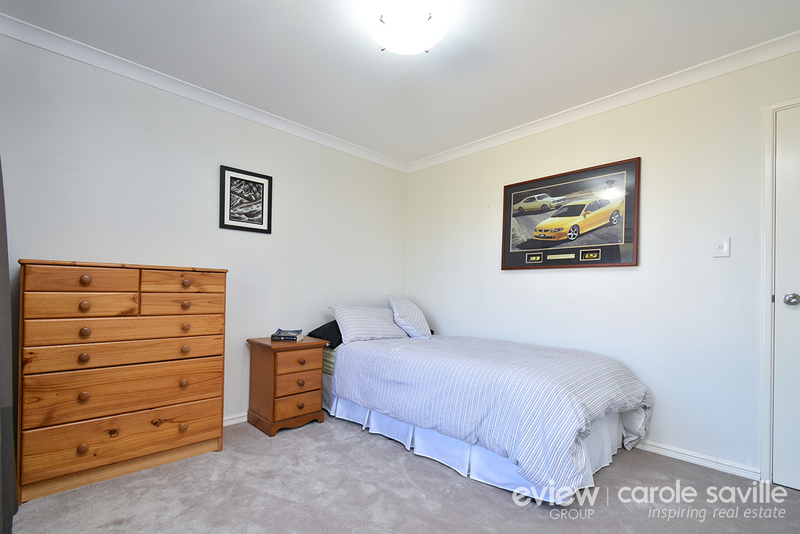 - Good sized laundry and linen cupboard. 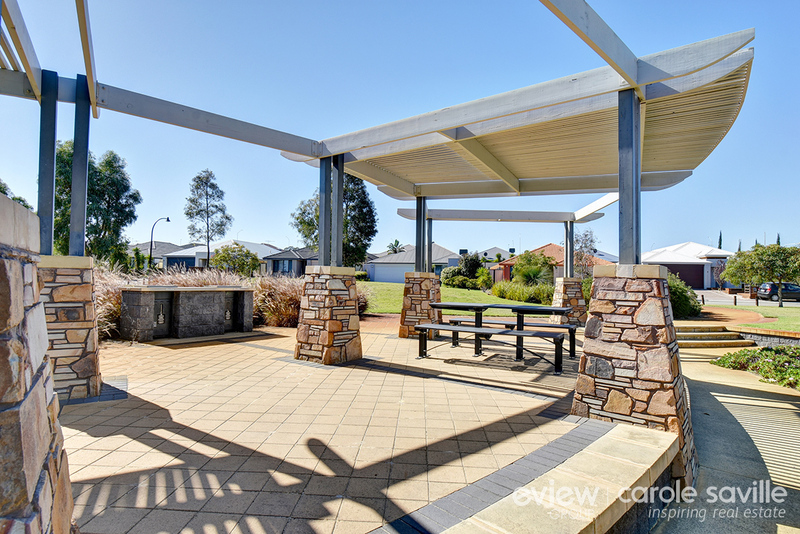 - Undercover alfresco area with courtyard and grassed area opens up your entertaining options, ensuring you make excellent use of the outdoor space. 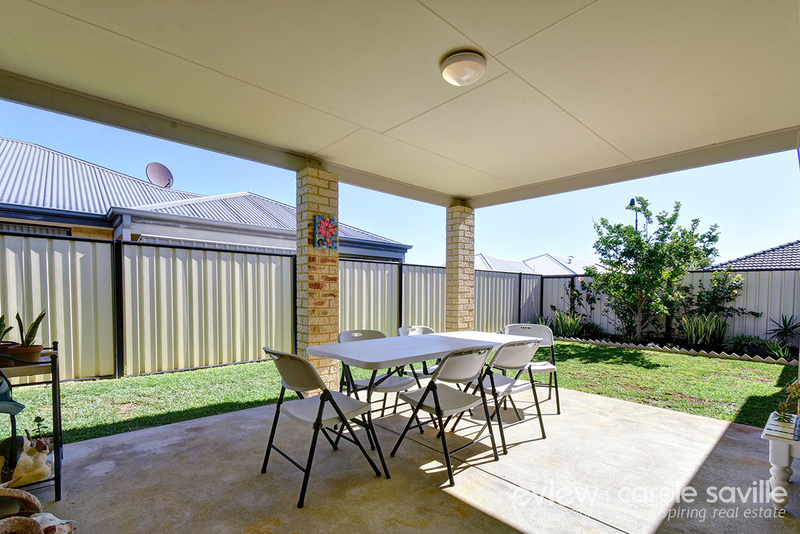 It's also a great space if you have pets too, they get fun in the sun and shade when they need it! 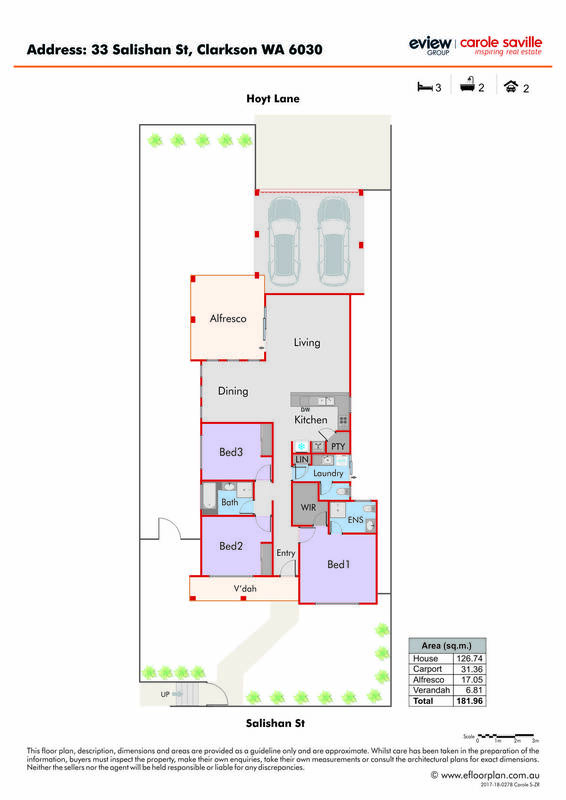 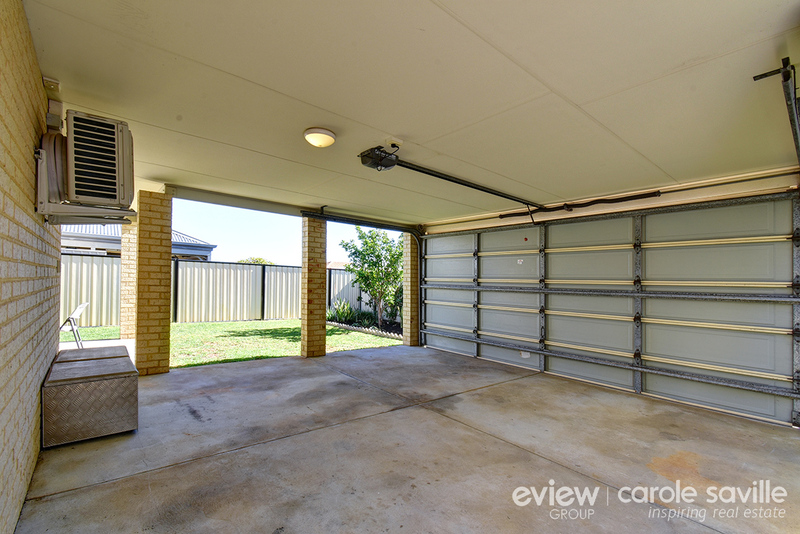 - The remote controlled double carport is accessed from the lane way to the rear. 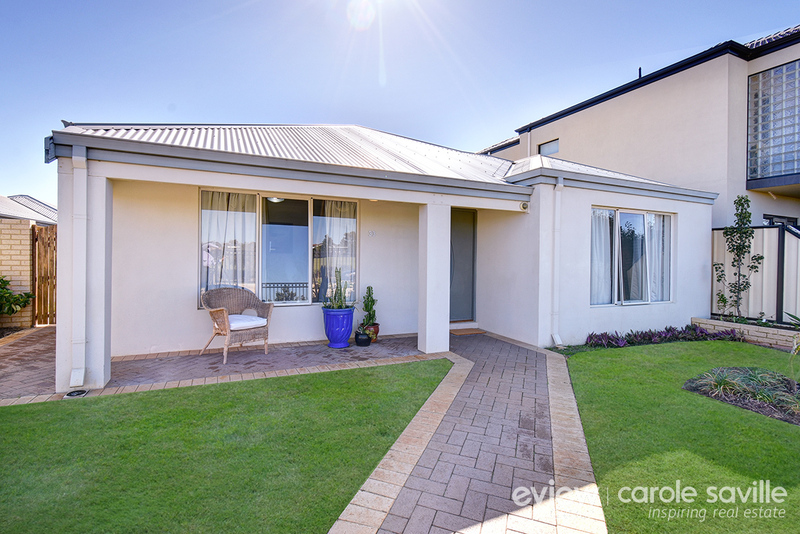 Other features include: Reticulation, roof insulation, gas hot water storage system, side access and ample street parking on offer.